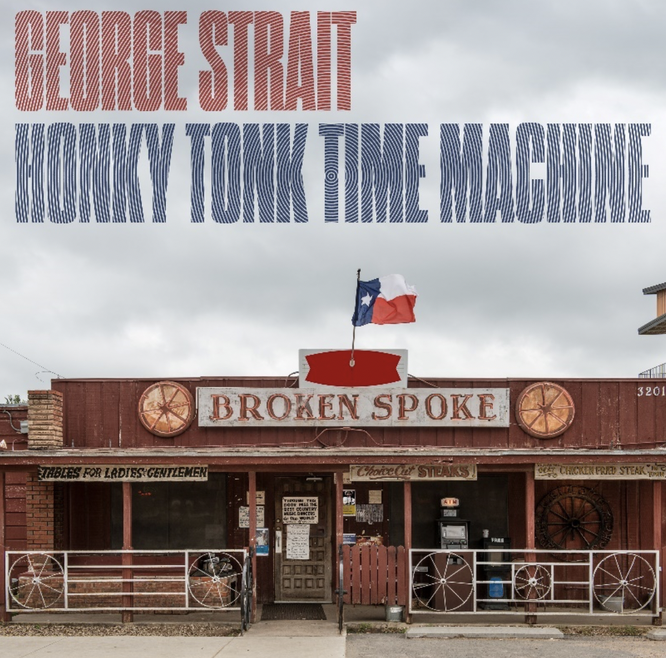 George Strait Releases 30th studio album: "Honky Tonk Time Machine." - Newhillbilly website. 100% American Roots Music. With an unmatched 60 singles hitting the top of the charts - more than any other artist in any genre - during the span of his 30-year career, Strait is the undeniable "King of Country Music." He has collected 33 Platinum or multi-Platinum-selling albums, more than any country artist and ranking third across all genres behind only The Beatles and Elvis Presley. Strait is the only act in history to have a Top 10 hit every year for over three decades and has sold nearly 70 million albums and earned more than 60 major entertainment industry awards, including induction in the Country Music Hall of Fame in 2006. The Country Music Hall of Famer recently played his 21st and 22nd sold-out shows at T-Mobile Arena in Las Vegas. The "Strait to Vegas" series began with six shows in 2016 and extended with 10 more in 2017. In 2018, Strait headlined Bayou Country Superfest to a sold-out Mercedes-Benz Superdome crowd in New Orleans, Louisiana, two nights in Tulsa, Oklahoma and one night in Austin, Texas. This year, fans can catch Strait at Ohio Stadium in Columbus, Ohio on June 8, two additional engagements of "Strait to Vegas" at T-Mobile Arena in Las Vegas on August 23 and 24 and Dickies Arena in Fort Worth, Texas on November 22 and, due to overwhelming demand, a second show on November 23, with tickets on sale now at ticketmaster.com. For more information, visit www.GeorgeStrait.com.